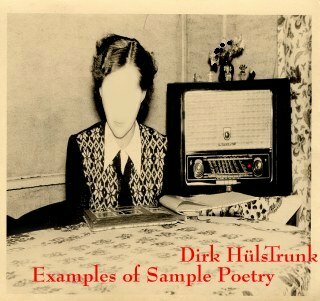 Soundpoetry for voices and samples. Producing poetry with a sampling machine. Rhythmicly pounding words, meditative mumbling, electronicly twisted speechsounds. Trying to generate meaning through repetition. Techno poetry meets Dada. Just like a DJ the Sample Poet works behind his machines, mixing, streching, compressing the words to find the magic moment, which might only be the moment of absolute non-sense.